Leading Manufacturer of slat conveyor, inclined belt conveyor, modular belt conveyor systems, box loading conveyor machine, ms roller conveyor and skip hoists material handling conveyors from Ahmedabad. 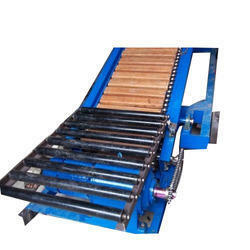 We are involved in manufacturing, supplying and exporting a commendable range of Slat Chain Conveyor. To ensure their wide industrial applications, offered product is precisely engineered by our professionals with premier-grade raw material and other basic components. 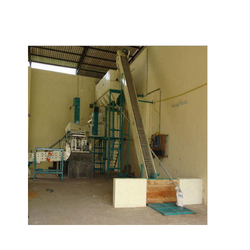 Offered product is highly acclaimed by the end users for its easy operation and high productivity. We are offering this product at highly affordable price range. 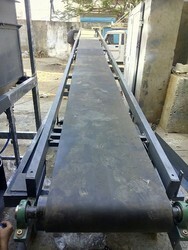 We are Manufacturing of all different type belt conveyor as per client require. 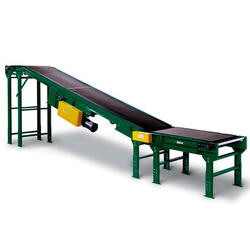 We supply a complete range of modular belt conveyors that are available in several different widths. The system is assembled using either aluminium profile frames or stainless steel frames. Applications for this product include general conveying applications in warehouses, assembly lines for manufacturing purposes, and conveyors to carry product in to and out of production machinery. We are manufacturing facility of our infrastructure, we have been able to offer a quality range of Box Loading Conveyor Machine to our customers. 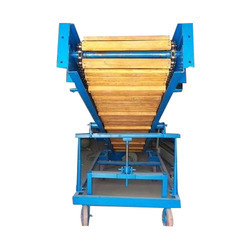 These are widely used by various industries for carrying material like coal, mud, bookcase, oil seeds, grain and other free flowing material from one place to another. Clients can avail these from us in various capacities, shapes and sizes in order to meet their needs. we have been able to offer a wide range of Bucket Lift Elevator ( Skip Hoists) to the patrons so as to fulfill their varied requirements.Special for moisturised powder foam material . 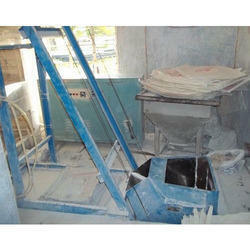 Offered product is highly demanded by the clients for its quality as per the international standards. Designed with premier-grade raw material and other basic components, offered product is suitable for longer service. It is offered to the clients at highly reasonable price range. Use As Material Handling Conveyor. 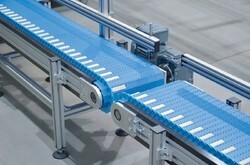 Sigma Automation offered for bag shifting conveyor for industrial use and wherehouse bag shifting conveyors. 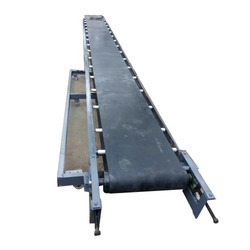 We are one of the leading manufacturer and supplier of Bag Handling Conveyor system.We obligated to meet the quality standards, As per the customer demands. We have established ourselves as a leading manufacturer, supplier and exporter of an exemplary range of Acclivition Conveyor. Committed to suit the varied requirements of our clients, we deigned the offered product as per their specifications. Therefore, offered product is highly demanded in the market and acclaimed for its reliability for industrial applications. We are mfg of all type conveyor as per customer requirement, this bucket conveyor use in food and crop industry in material transfer one place to other place.